Word Whomp is an enticing game that challenges you to whomp adorable gophers while racing against the clock to develop as many words as possible from a set of just 6 letters. In this surprisingly addictive little game, you come up with new words and the gophers begin digging up bonuses and veggies. All you need to do is spell fast as the clock keeps on ticking constantly. 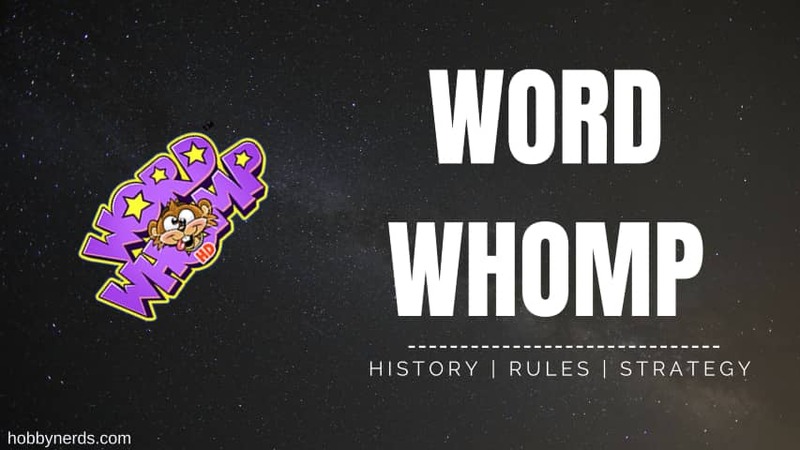 Created by Pogo, a renowned online gaming website, Word Whomp lets you explore the power of words while taking your vocabulary to the next level. Targeted at a wide range of players – from novices looking to strengthen their vocabulary to wordsmiths trying to test their skills, this game was launched to offer something interesting to everyone. The key goal of Word Whomp by Pogo is to form as many words as possible from just 6 given letters and that too within 2 minutes and a half. You can form the words with the help of your mouse by clicking on the letters. Alternatively, you can use your keyboard where you need to type the letter you found and then press Enter. The words formed by you must consist of 3 letters at the least, and they cannot be contractions or abbreviations. If you have formed a word correctly, it will appear on the top of your screen on the listed signs. The digging gopher that stays on the lower part of your screen moves forward when you form a word successfully. By advancing forward, you receive prizes that comprise of tokens and when the “Spin” carrot is reached by you, you will become eligible for receiving a jackpot spin, 10, 50 or 100 tokens, which depends on the level of difficulty, and additional tokens for each word spelled by you subsequently. Additionally, you will receive 200 tokens from the “Last Word” carrot. Here are some things that you should keep in mind to master the Word Whomp game. You should always try the Skill Level 1 at first as this is the easiest level, which will help you to understand the game better. You should not try to type contractions or abbreviations as they do not work, and you will just end up losing time by typing them. Remember to make use of the “Mix Up” button. In case you are stuck, you can click it as many times as you wish. The words you spell get listed alphabetically. You should try to use this to your advantage if you fail to develop fresh ideas. Ideally, you should concentrate on finding the 3- and 4-letter words only until you reach the Spin carrot. You will receive additional tokens for 5 and 6-letter words once you pass that checkpoint. If an “S” letter is there, you should try to use it in every word you find to create plural versions of words. You can visit the Pogo official website to get a more detailed understanding of How To Play Word Whomp. The rules of Word Whomp by Pogo are quite simple. Let’s have a look at them. You are provided with a 6-letter word and the letters remain scrambled. You need to unscramble that word and form as many other words as possible from those 6 letters. The letters are kept in the hands of cute gophers, and there exist posts where blanks for all the words, which are possible, get displayed on posts. With each word you find, you receive more points and the gopher advances forward. If you find all the words in the given puzzle, the gopher gets to eat the big turnip while getting you 50 additional points. There is one golden group of squares where if a word goes in, you receive extra points. In Word Whomp Underground, the gophers are back to wreak vengeance. Angry at what they consider as an abuse of their environment, the gophers in this version of Word Whomp are armed with a robust drill. Here, they travel underground to search for a place to come out of and exact their vengeance on the humans that ravaged their homes. You can assist them to get to their abusers by helping them identify the words which are mixed up right in front of you. All in all, Word Whomp Underground is the basic Word Whomp gameplay with freshly added, amazing features of the Spelling Drill together with additional bonus items in the underground. Word Whomp Whackdown comes with the object of making as many words as possible from the 7 or 10 letters in the middle of your screen. Here, letters have to be next to each other and you can spell words diagonally, forward or backward. Word Whomp Whackdown comes with only one rank badge, which is for attaining the highest rank – 45. This version of Word Whomp is quite long to rank out in, as the progression of rank is very slow for the higher ranks. Here you get a choice of 3 game modes – Action, Puzzle, and Classic. Both Action and Puzzle modes are timed versions derived from the main game, while Classic is ideal for those looking for a more leisurely experience. All modes record your highest score, which means you or anyone playing the game on the same device will have a score to beat or something to aim for. Word Whomp to Go solely uses the English dictionary when it comes to validating words. So, you should never try to put in words from a different language as it will not accept it. On September 13, 2018, Pogo released Word Whomp HD. This version replaces the old flash version of Word Whomp. If you have unfinished rank badges with the old version, you should note that they will not be transferred because of the changed version. In Word Whomp HD, you can achieve a total of 8 rank badges, which you will get at ranks between 10 and 80.